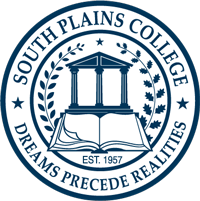 A South Plains College transcript is the official record of a student's enrollment at South Plains College. New students will not have an official transcript until their first semester grades have been posted. Students may request copies of their official transcript through Credentials Solutions. Official transcripts are $5.00 per transcript. It takes 1 to 3 business days to process a transcript request. Official transcripts may be picked up or mailed. They will not be faxed. during office hours or call South Plains College at (806) 716-2570.